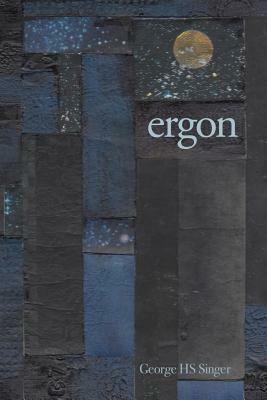 Ergon by George HS Singer, who is on tour this fall with Poetic Book Tours, is a debut with subtle power. The collection is broken down into four sections — Visiting, Ergon, Our Quotidian, and Immensity — and each reveals a keen observer in Singer and each is infused with Buddhist sensibilities, but not overtly so. In “Slipping Out,” Singer draws lines of connection between the Korean lady on the freeway and ourselves, as well as the bits of ourselves we find behind the eyes of our children. But there is so much more being said in this poem – we must savor our moments of connection because they could slip away before we realize it. to meet itself in another’s face. In this first section of poems, the lines call to mind the section title. We’re just visiting, our time is limited here and in these moments we have, and we must make the most of them while we can. For those moments we wish did not happen as they do, we can be comforted by their transient nature. We must learn to let go of the harmful memories and events and cherish those that imbue us with strength. Throughout the collection, there are poems that recall wars and battles of the past, which can affect people and shape who they are. How do we deal with these changes? How do they? These are questions that only individuals can answer for themselves, and they must accept the choices they have made. Singer uses nature to illustrate his themes, including the movement of tides. In the title poem, “Ergon”, the narrator concludes, “The ergon of strangeness in a household is silence.” The line is haunting and makes us wonder what exactly is strangeness? Is it the memories we do not vocalize, the traumas that we bury? Those are not really strange, but many often feel that they are set apart because of them. To stay silent is to deny the truth. It is these events that shape us and those around us, and they should also be what connects us and draws us closer to one another. Ergon by George HS Singer is a collection that will push readers to think about their lives, their place in it, and those who have influenced them. Those who have inspired us, and those we have feared — all have left their indelible mark.